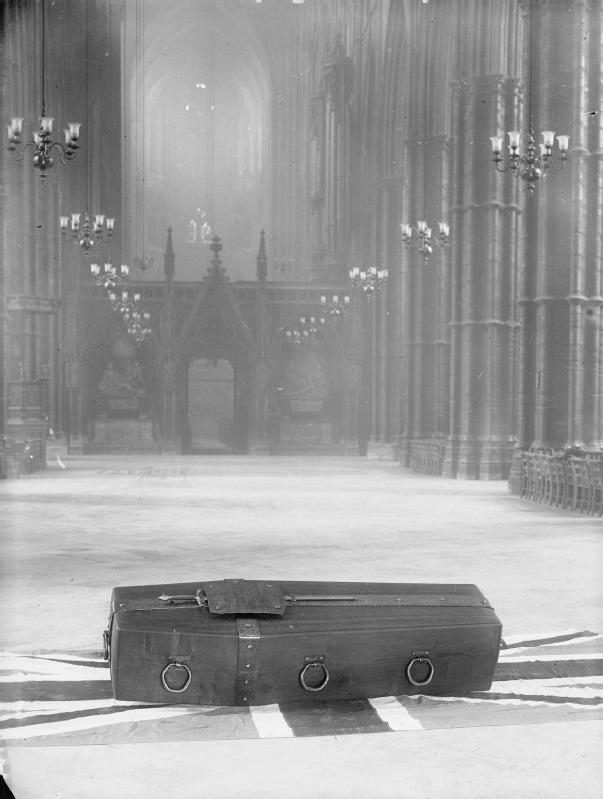 The Tomb of the Unknown Warrior is to be found in Westminster Abbey, London. 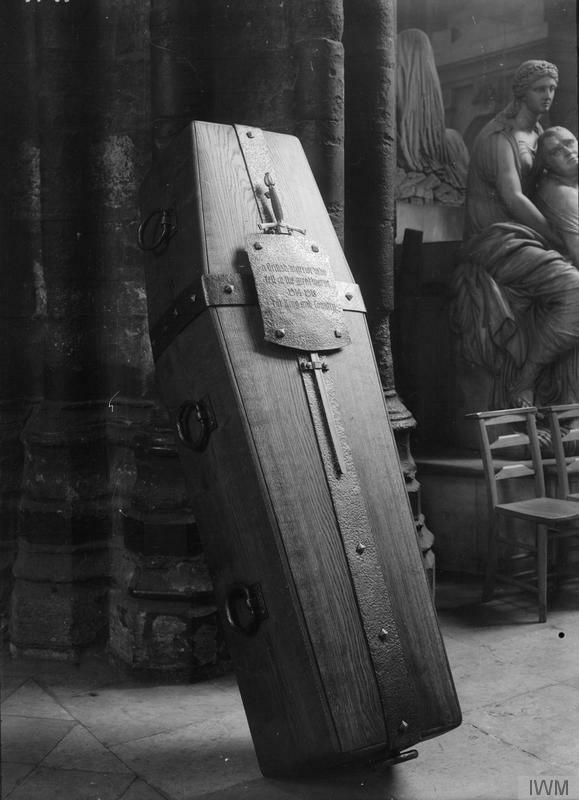 Many countries have similar memorials – which honour the dead of the First and/or Second World War but this is the first of its type being installed in the abbey in 1920. Most people are aware of Westminister Abbey. It’s been on television several times and has been a part of the most important events in British royal history. Members of the royal family are often married there, coronations take place at the abbey and so do royal burials. Almost every family in the United Kingdom has lost at least one member during the terrible battles of the First World War. 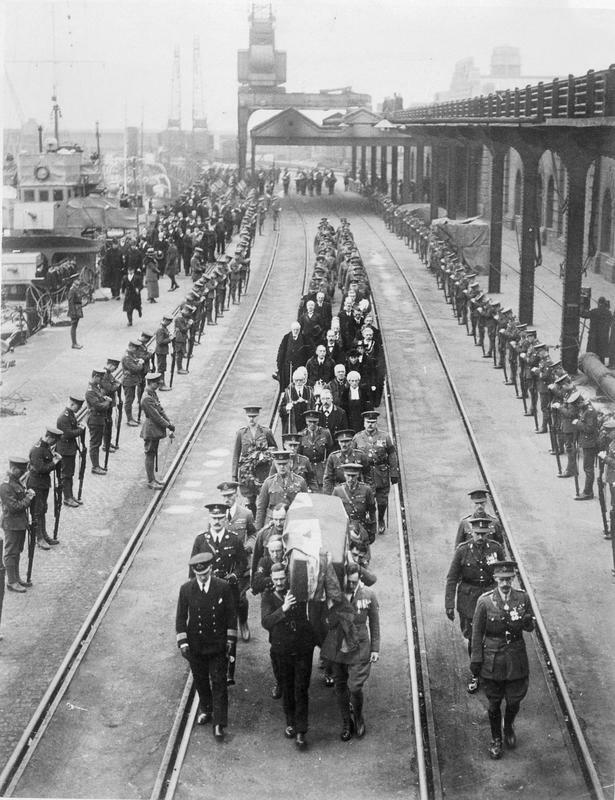 In 1915, the first full year of the war, it was decided that the bodies of soldiers would not be repatriated but buried oversea where the soldiers had fallen. Although this was an eminently sensible move – because the movement of tens of thousands of coffins would have seriously hampered troop and wartime supply movements – it meant that virtually every family in the country had no memorial, no fixed grave, for their loved ones. Army chaplain, David Railton, conceived the idea of having the grave of an unknown soldier on British soil – a grave that every bereaved person could imagine or believe that the grave held their own father, son, brother or husband. Railton was aware that many overseas graves were simply marked ‘an unknown British soldier’. People had no focal point at which to grieve. He felt that it was important that the unknown soldier should be chosen at random and that no-one should know who he had been, where he had died or where he had been buried. So several bodies were chosen from unmarked graves and one was chosen entirely at random then transported to England. 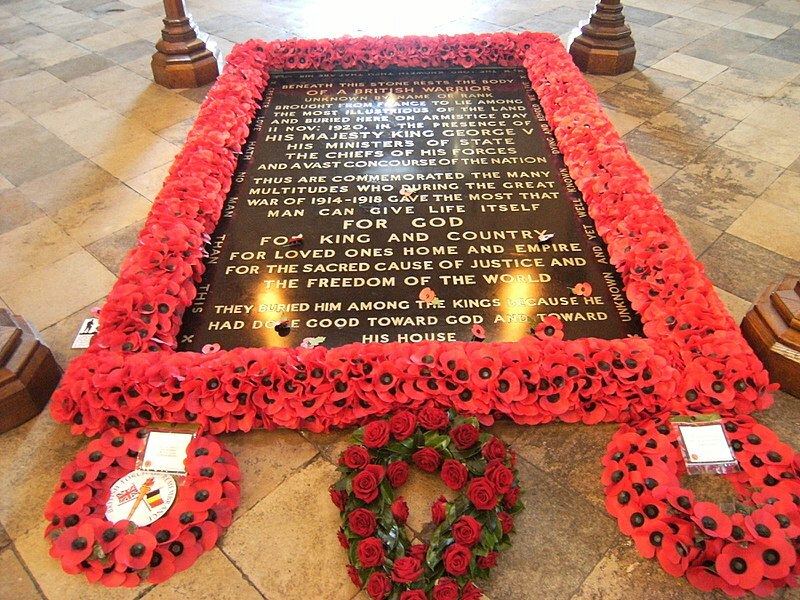 The Unknown Soldier was then buried in Westminster Abbey with full military honours and in the presence of many dignitaries including the King of England. The ceremony for the Unknown Warrior took place on November 11th 1920. (The Eleventh Hour of the Eleventh Day). 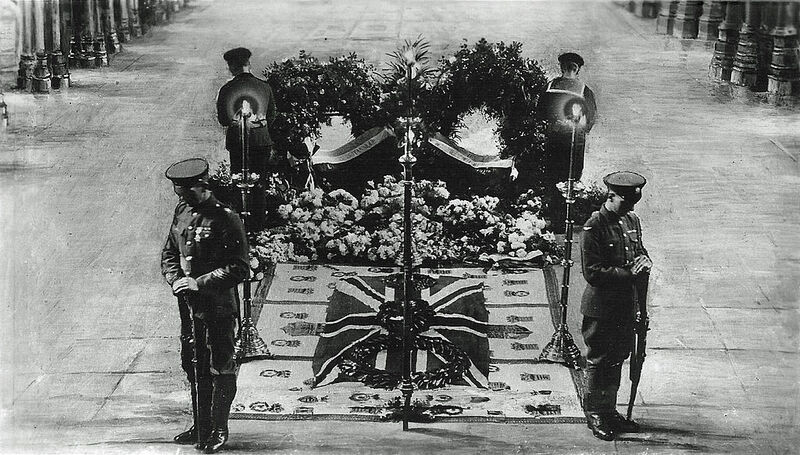 Most ceremonial occasions at the abbey are attended only by the royal family, the top-brass clergy and government visitors but in the case of this burial, ex-servicemen were invited as were one hundred women who had lost their menfolk during the First World War. The next royal occasion to take place at the abbey was the wedding between the future King George VI and Elizabeth Bowes-Lyon (later Queen Elizabeth and Queen Elizabeth, the Queen Mother). Elizabeth has lost her brother during the Great War and she laid her wedding bouquet on the tomb to honour her brother and the other soldiers lost in conflicts. Since that time, all royal brides have followed suit and had their bouquets laid there on the day following the wedding. This is the case even when the wedding has taken place at another royal venue and not Westminster. The latest one was the Duchess of Sussex (formerly Ms Meghan Markle) in May 2018.